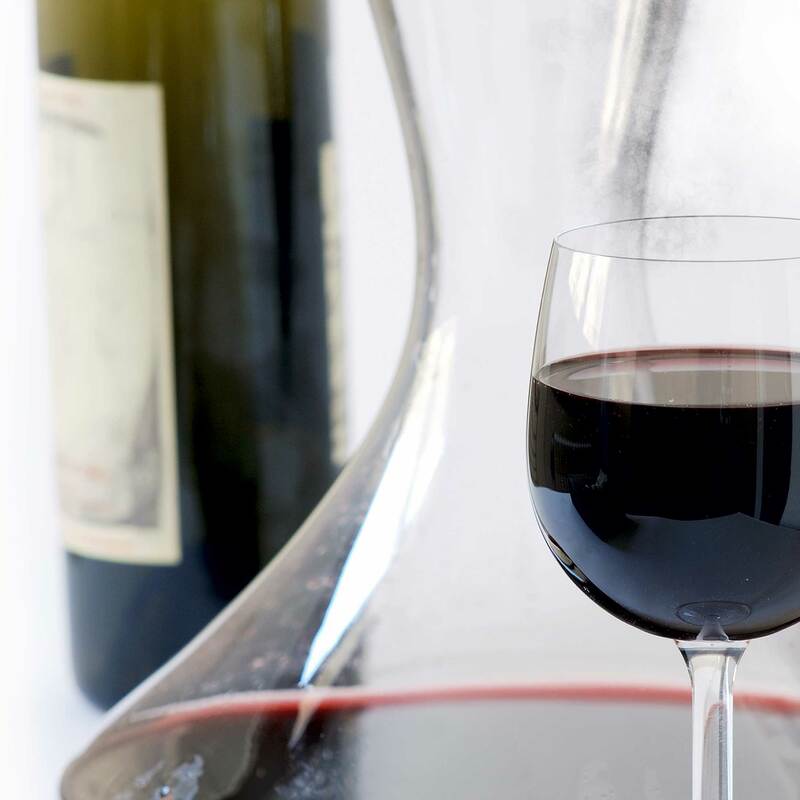 This Wine Lovers Tour Package will help you discover the Finger Lakes Wine Country by unraveling the mystery of the winegrowing and winemaking process. We will provide tastings for dozens of the area wineries. You will experience an exceptional wine tasting at some of the region’s premium, award winning wineries. Whether you’re a wine aficionado or just want to try a new experience, you’ll discover the complexities of the vineyard, the artistry that takes place in the cellar, as well as the joys of tasting the end result: elegant, yet approachable wines for every taste! Your tour guide will help you experience some of the premium wines the area has to offer to give you the best wine tour you’ll ever experience! In addition the relaxing atmosphere of the Inn will help you to recover from life’s demands. Tours include transportation and driver, tasting fees, 2 nights’ accommodations and gourmet breakfast each morning, a complimentary gift from Barrister’s B&B. Plan the perfect getaway to celebrate your love to one another. 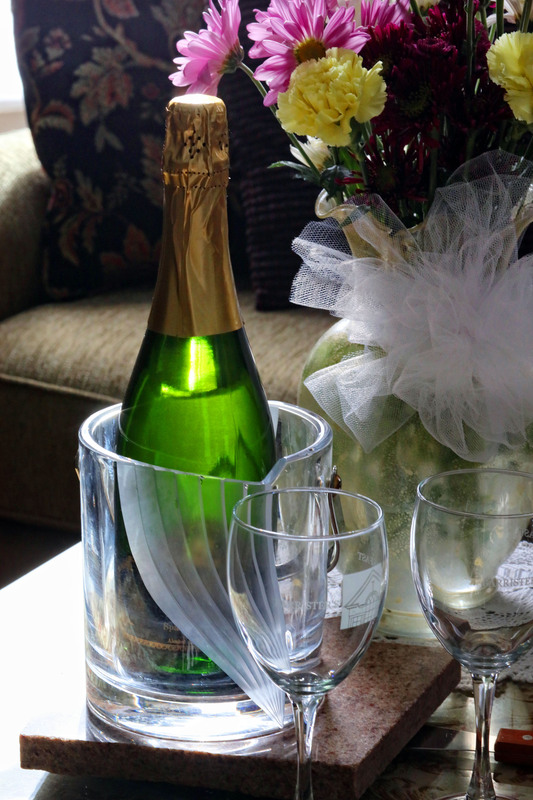 We make it easy for you with a Barrister’s Romantic Getaway Special. This package features two nights accomodations, a six hour chauffeured winery or sightseeing tour of the Finger Lakes region from Finger Lakes Limousine & Coach and complimentary wine tasting coupons to use along the way. Upon your return to Barrister’s, you will receive a gift certificate worth $100.00 to enjoy a delicious dinner at a local restaurant. When you return to your room, you will enter into a relaxing candle lit room, a gift from Barrister’s and two one hour in-house massages.. The package price is $1,150.00. The price is valid for two people on a two night stay based on availabilty. Taxes and gratuities are additional. The Finger Lakes area is a beautiful place to cycle, we see many cyclists throughout the Summer season as we are near the Erie Canal Bike Trail. We appreciate that spending an entire day on a bicycle can be demanding so why not finish your day with an in house MASSAGE at Barrister’s. We have several on call Massage Therapists and they can help you relieve the demands that it places on your body. The special includes a one night stay in either the Yellow Rose, Grace Yawger or the Cape Cod Cottage, a one hour massage (based on the availability of the massage therapist) and a $25 dining card. Let Barrister’s Bed & Breakfast make your cycling experience special. Vacations are special when they are with family and friends. Why not have the family get together for that special vacation or reunion at Barristers Bed & Breakfast. You can rent the entire house (5 Bedrooms) for $ 799.00/ night (tax not included) November thru April or $ 850.00 per night, May thru October. 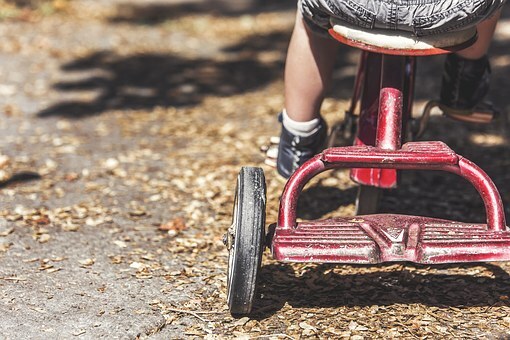 Children are most welcome when renting the whole house! Let Barrister’s Bed & Breakfast make your family time special. 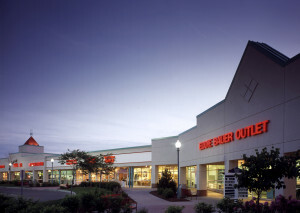 Waterloo Premium Outlets has over 100 outlet stores from the world’s leading designers and brand names! Just 8 miles from our B&B. Savings of 25% to 65% every day! Two night Accommodation in one of our Queen sized shopper rooms. Breakfast for two (Monday through Thursday only) and a $ 25.00 Shopping Gift Card to start your Shopping Spree at Waterloo Premium Outlets. Call for reservations – $ 399.00 for a two night stay. Don’t be left on the ground! Liberty Balloon Company and Barrister’s Bed & Breakfast have teamed up to bring the exciting adventures of hot air ballooning to Seneca Falls. 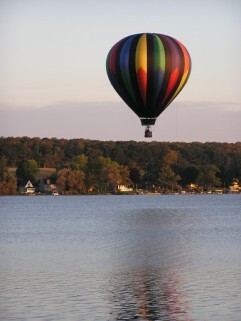 Can you imagine yourself flying over Cayuga Lake and all of it’s beauty? Don’t imagine anymore – Come fly with us! 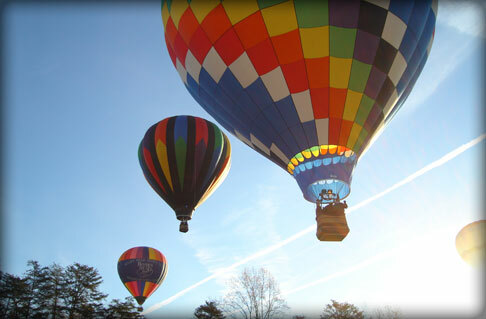 Liberty Balloon Company was founded in 1976 by former Navy aviator Carroll Teitsworth. Every flight in a balloon is a unique experience. There are some things that you can expect in most every flight: beautiful views of the countryside, the unique stillness of flying with no engine noise, the thrill of lifting off, and the wonderment of a flight without a predetermined landing site to name a few. Come and experience the awe of the Finger Lakes from a very unique vantage point. The beauty of a Hot Air Balloon experiences is that there are no “bad seats”. Our balloons accommodate two to four passengers. This means that you get to look in every direction and see beautiful panoramic views! The basic Hot Air Balloon ride is $ 325.00 per person or a package is available. The Hot Air Balloon package includes 2 nights’ luxury accommodations in one of our spacious rooms, gourmet breakfast for two each morning, Hot Air Balloon ride for 2 people, a thermos of hot coffee and muffins during your morning balloon ride and free tastings at local wineries. In addition, you will receive a free gift from Barrister’s Bed & Breakfast. Add arranged flowers in a vase for $50.00 plus taxes or some Chocolates for that someone special. Look for Add-Ons when you make your reservation.